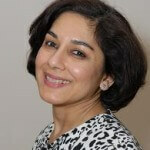 Career History & Expertise: Shelina qualified with an LLB (Hons) Degree in Law from Brunel University. After leaving the legal profession for a number of years, Shelina worked in her family’s hotel business and went on to work for an interior design company, before going back to law where she joined Bates NVH as a trainee Solicitor. After qualifying in 2004, she joined the firm’s property department at our Fleet office where she dealt with all aspects of residential conveyancing and experience in commercial matters. In 2005, Shelina joined the firm’s Private Client Department. Her area of work includes advising clients on wills, estate planning, trusts, administration of estates, powers of attorney and court of protection. 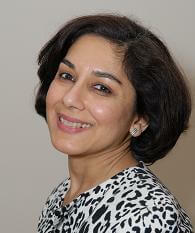 Shelina currently works in our London and Weybridge offices. Hobbies & Interests: Shelina is an active volunteer within the Ismali Community, she has chaired the legal committee and presently the Hospitality committee. She has a great passion for cooking, and other interests include the theatre, opera, singing, music and travelling. Bates Solicitors is the practice name of Bates Solicitors Limited, for their eight offices based in central London, Surrey, Hampshire and Leigh on Sea. Bates Solicitors Limited (CRN 08151797) is a private limited company registered in England and Wales trading as "Bates Solicitors", "Crellins Carter" and "Wallis Prance". Authorised and regulated by the Solicitors Regulation Authority (No. 570743) VAT No. 141715337.